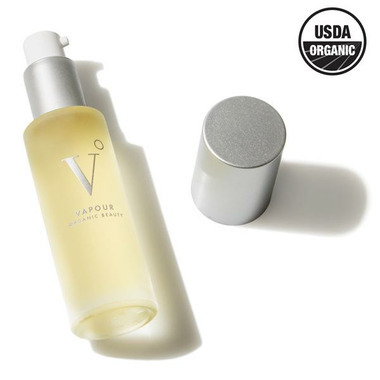 Vapour Organic Beauty's natural, non-toxic and cruelty-free oil cleanser is also a registered USDA Organic product, containing all organic ingredients. Let go of convention with Clarity Organic Makeup Remover. Organic Camellia Oleifera (Camellia) Seed Oil, Organic Borago Officinalis (Borage) Leaf Extract, Organic Helichrysum Arenarium Flower Extract, Organic Equisetum Arvense (Horsetail) Leaf Extract. Bought this cleansing oil on sale (I believe they are changing the packaging) and I am thrilled that I was able to try it! It has no scent, did not make my skin react, removed makeup effectively AND left my skin feeling clean and hydrated. This one is officially on my favourite list!